Eat a fresh rainbow everyday! 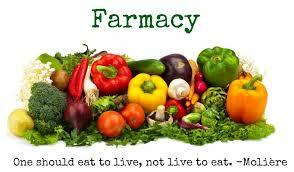 Let nutrition be the focus of our eating habits. There are so many ways to add colour to your meals, but the best way is to include a variety of fresh fruit and vegetables in your daily diet. The health benefits of eating a diet filled with a rainbow of colours is well known, but as l have tried to incorporate more vegetables into every meal, l have discovered the joy of eating food that is a range of bright colours. Not only are the range of flavours so amazing, but eating fresh colourful food is exciting, motivating and makes me feel happy. A green pancake for breakfast. Paleo recipe, gluten, dairy and sugar free filled with loads of parsley, bok choy, spinach and kale. Topped with activated almonds, organic coconut flakes and organic maple syrup. Served with fresh avocado and a daily magnesium drink. 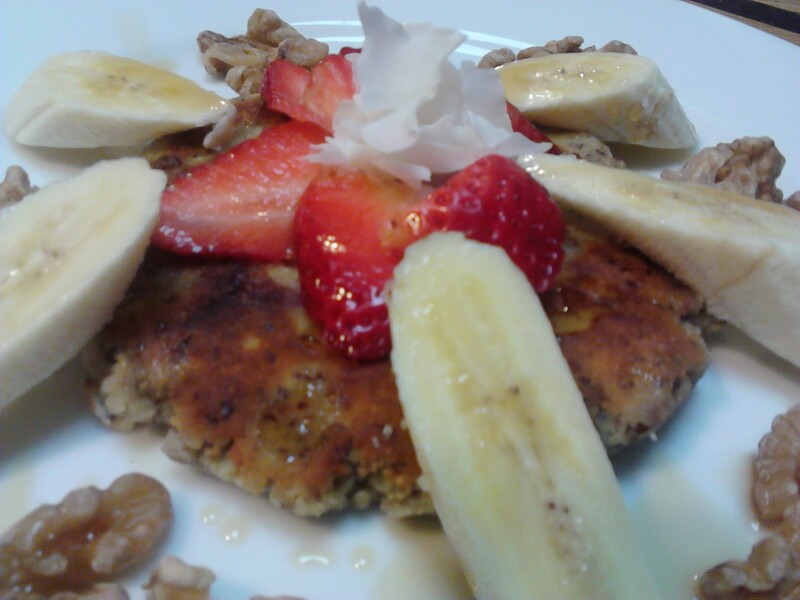 Breakfast pancake topped with fresh fruit, activated walnuts, coconut flakes and organic maple syrup. A food as Medicine approach underpins my nutritional motivation, and everything l eat has a purpose and a high nutritional value. Eating a rainbow of fresh, healthy food will ensure you are consuming healthy vitamins, minerals, anti-oxidants and fibre that will help you on your wellness journey. Lunch: A beautiful fresh raw salad. If your daily rainbow consists of peas, carrots and corn then it is time for a change. Our taste buds can get a bit lazy and are a victim of our comfort zone just like the rest of our habits are. Trying new foods can be challenging and it can take a number of goes at eating a food, or preparing it in a variety of ways before we become accustomed to its taste, texture and how it feels in our mouth when eating. There is also the challenge of learning how to prepare new foods, but if you add one in at a time then it can be exciting and an adventure. 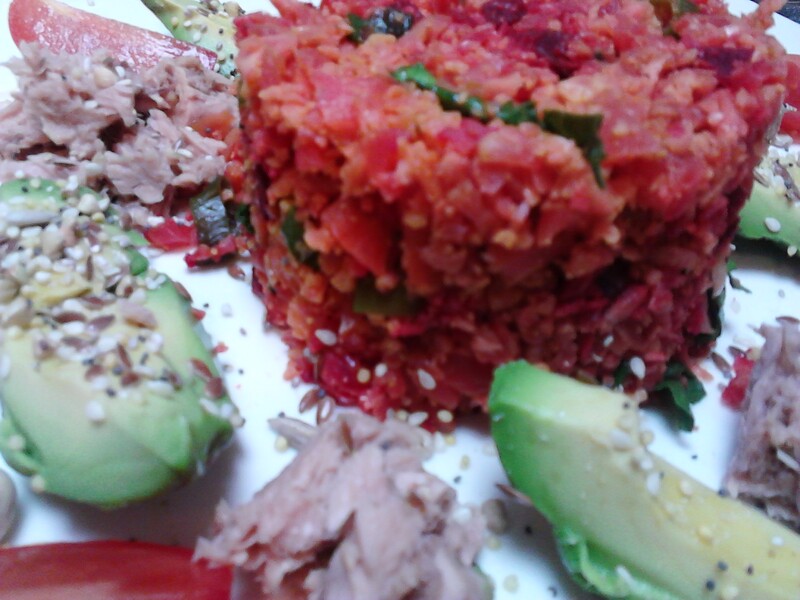 Lunch: Spiced beetroot & vegetable cauliflower rice, with tuna, avocado, tomato and seeds. 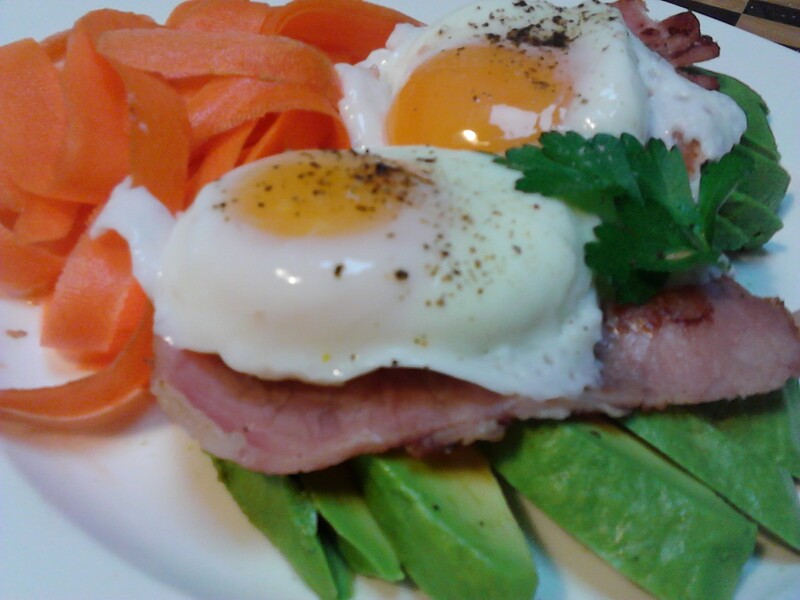 Lunch: Poached free range eggs & bacon with fresh avocado and carrot strips. The first step after deciding you want more colour in your food is to buy a selection so it is available for you when preparing meals. If you need guidance, use a recipe that appeals to you as a starting point. I have found Instagram to be an amazing source of inspiration as l can visually see what other people are cooking and eating which helps my motivation to try new foods. Cold pressed green juice made from bok choy, celery, green apple, lime and ginger. 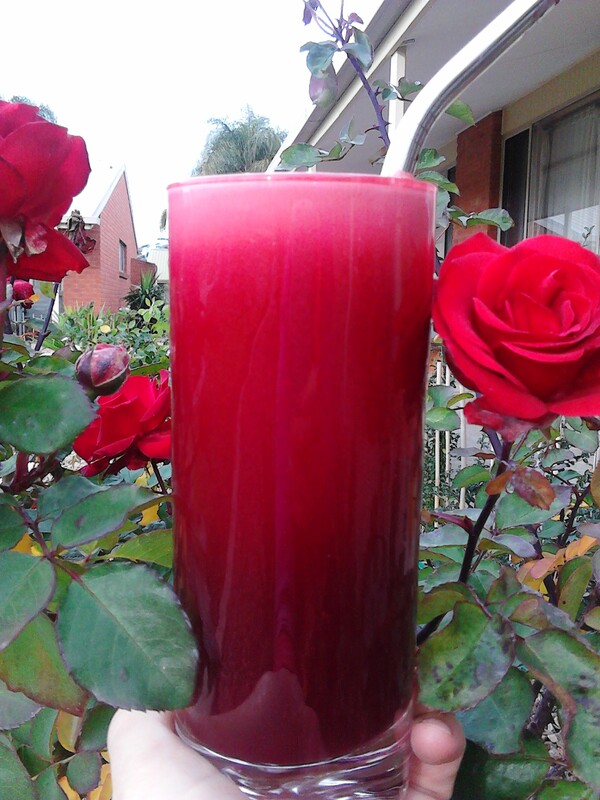 Amazing red juice of beetroot, celery, pear, carrot & fresh ginger. Take ownership of your food intake and start experimenting with new ingredients. It can be fun and rewarding to sit down to a meal that you have lovingly prepared for yourself and family, especially if it has an array of lovely stimulating colours that gets the family talking about what you have made. 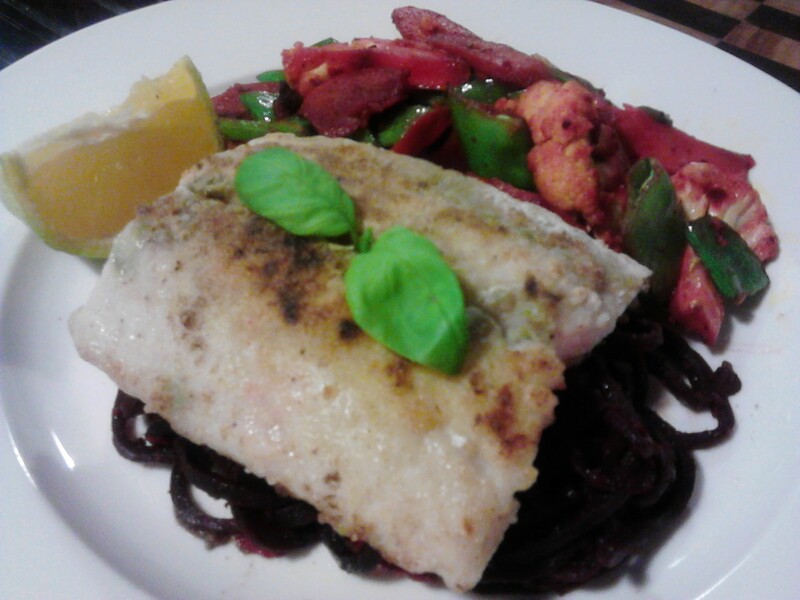 Dinner: Baked fish on a bed of beetroot noodles with a vegetable stir fry. 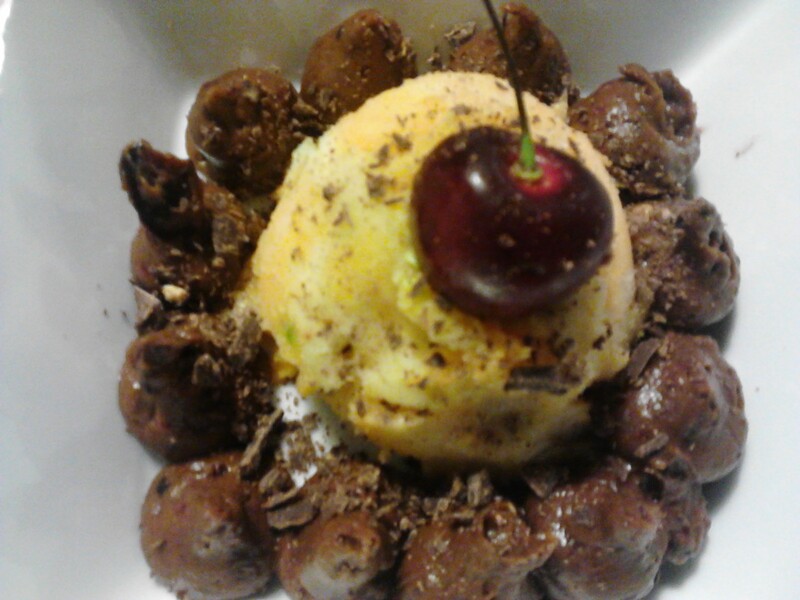 Dessert: Banana, apple & mandarin ice-cream made with the cold pressed juicer and an avocado based chocolate mousse. 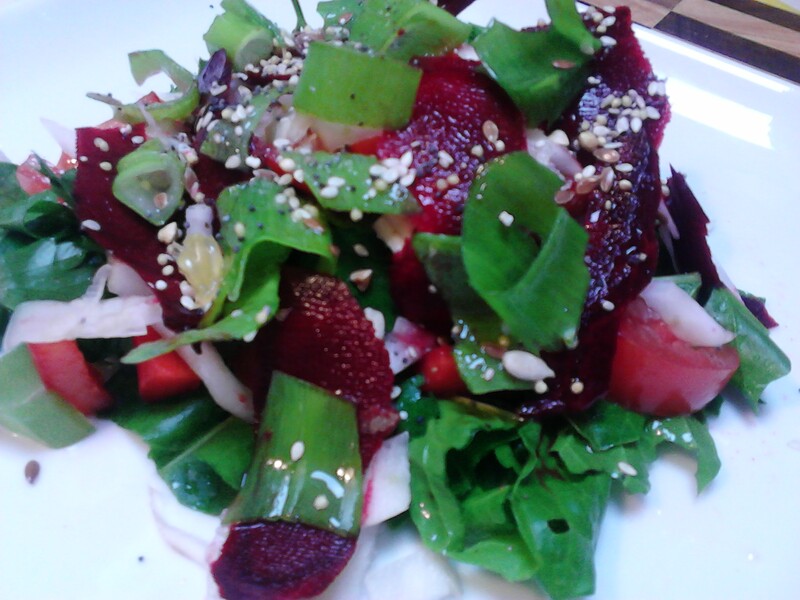 I try to make my meals interesting, flavoursome, paleo friendly and highly nutritious. It takes planning, thought, time, motivation and a strong commitment to staying on track when life inevitably throws a few challenges into the mix. I live in a busy household with a husband and three children who are mostly non-paleo. This is a major challenge for me and l am educating them, but this nutritional and lifestyle path that l am following is not without its challenges. Take an interest in what you are eating. Help with the shopping and cooking and plan your meals. Be prepared. Have a plentiful supply of fresh fruit and vegetables in the house. Try to incorporate colour into every meal, ideally by using mostly vegetables and some fruit with a focus on raw or lightly cooked where possible. Have a positive attitude to trying something new and do some research by looking at magazines, online or speak to a friend who inspires you. Better still, study Nutrition as l have done! Take it slowly. Change is difficult and our old habits are comfortable and easy to fall back into when a challenge comes our way. Slowly form new habits and incorporate them into your daily life. Have fun with it! Go to local markets and explore. Experiment in the kitchen with the fresh ingredients. Have a good attitude. See it as a diet of abundance rather than a diet of deprivation. Think of your short and long term goals and make every bite you take a nutritious one. Eat because you are hungry! Cut out the emotional, social, bored or habitual eating. Follow these tips and you will be on the road to a healthier you!